I nearly drowned this week. Not physically, but mentally. I’d started work on a talk, and pulled four commentaries off the shelves. A couple of hours after I started using the first one I realised that I’d hardly begun. This commentary was B-I-G, with well over a hundred pages on my passage. Should I spend all my reading time on that one, very good commentary? Or drop it, and try three much shorter ones? What’s a preacher to do? This is a rich day for commentaries. Once they were rare treasures, and you waited for the really good ones – now there are so many excellent series that few of us have the resources to own most of even the very best. But while commentaries have multiplied, time to read them hasn’t. So we need to be savvy. Here are my best (hard won) four tips. 1. Know your Bible inside out. Yup, that was my rookie error #1. I was so concerned to get inside the commentaries that I forgot that my job is to know just one book really well, and all the other stuff in my study is there to help. The words of the wise are like goads, their collected sayings like firmly embedded nails—given by one shepherd. Be warned, my son, of anything in addition to them. 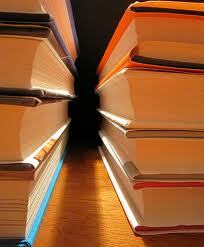 Of making many books there is no end, and much study wearies the body. Got that? The words of the one shepherd are our work, and it was lifting my gaze from them to the inexhaustible amount of books that I could (should?) read which caused me the problems. 2. Choose your commentaries with care; they are expensive, and money and time are both short. What’s more, with the arrival of electronic libraries, those of us who bought and marked up paper copies are now being tempted to buy a second copy of the same book. I posted the other day on “How to own every commentary worth owning”, and I meant it. Because my shelves are cluttered. Over the years I’ve picked up third rate as well as excellence, prepped a series and kept everything, and been given stuff that I’ve hoarded. Which means that each time I start work I have more to read since last time, because I own more. Rookie error #2. Know which ones not to bother with, ever again – and dump them. Just not in my direction. Back in the day, the reasonable library of a responsible preacher could contain all the good stuff, and some of the important bad stuff too. The big name preachers and writers made a point of having read everything worth reading. Not any more – it’s just not possible, unless you’re a devoted scholar working on a limited project for a long period, and even then i doubt if you can do it with the web as well.. But for the rest of us, give up the idol of having read it all, or it will paralyse you. 3. Be reading at least one commentary, all the time. Read a commentary? Am I mad? Aren’t they just for dipping into? Not so much. Work your way through the great ones, pencil in hand and Bible beside you, and you will come to understand them as a whole. After all, if the commentator hangs everything on an eccentric interpretation in chapter 1, you won’t know that if you only dip in at chapter 3, will you? That was my rookie error #3 – I started that commentary half way through, and didn’t know where the writer was coming from. Slow, regular reading is the key. I usually have one Bible book on the boil, and if I’m asked to speak somewhere and I’m given a choice, I’ll use stuff from that. It was Philippians a couple of years ago, then Hosea. I’ve decided it’s Isaiah now, and I’ve just started on Ray Ortlund’s commentary. 4. Do your text work first, very thoroughly, and only then go to the commentaries for answers. And that was my rookie error #4. In my haste, I went to the commentaries first, instead. How many years have I been doing this? How many sermons have I preached? I shudder to think, if I’m still making those simple mistakes. Bible out, notepad out, pencils (ordinary writing and coloured) out. Screens (sometimes I’m old school) off. Coffee and a clear desk. Pleasure. I need to teach myself these lessons on a depressingly frequent basis. I would like to run this piece on VIRTUEONLINE. I think it is excellent and well done. Sure, David. I’d be grateful if you’d give a link through to the blog. Thanks Alice – and that’s a an impressive and daunting list. So do you have an equivalent list for your anthropological and ANE texts? Thank you – rich treasures! Thanks, Chris. Keep up the good work! Also, considering submitting some of your writing to David Virtue to be published at Virtueonline. He always is looking for good material related to the Bible and Biblical worldview. I feel slightly awed now Chris by the task of reading through so many commentaries, but also inspired to make an effort to spend more time in the Bible this year starting with Acts. I’m reading through Peterson because someone told me he was from a reliable college (and his son works for London City Mission). As an avid Logos fan I hope I can keep my library under control (although their daily emails offering me 50% discounts are tempting). The one pity is that it is less easy to lend a copy of a logos book to a friend. If David Peterson is too daunting, he described my little book [The Word of His Grace, IVP] as ‘Acts for beginners’! David Cook is very good. Yes I think I’ll rely on Green and Cook and keep Peterson for research (although I’ve already v read his introduction). I often find a lot of benefit from reading the introduction to a big commentary to think through context, etc before launching into the text.